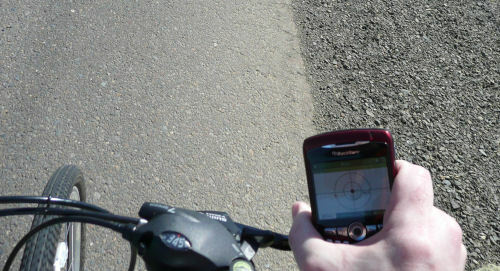 Biked about 15 miles today, looking for Geocaches. Had to quit when the battery on my cell phone died. Took a few pictures. Closing in on a cache. 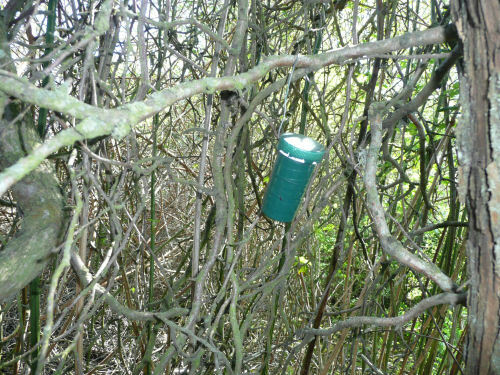 A microcache, hanging from a tree. 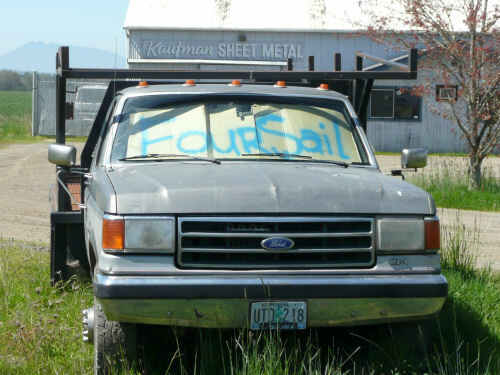 I think I’m going to bye this truck. Hey look, a 38-year-old car for just $4,000! 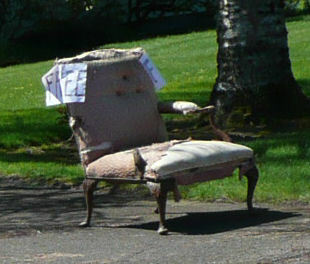 A ripped up old chair with an arm missing for FREE! Went Geocaching yesterday too. We did 8 or 9 of them during a hike. Had Mexican food and saw Knowing, which was a really bizarre movie. That is the exact car I want and those are the exact stickers I’d want to put on it. Very rarely here in Vero I see this van painted all crazy-like called The Interplanetary Traveler. With all the freaks in Florida (Especially the ones that paint their vans all crazy-like), I think I’d be too apprehensive to ask if I could take a pic of it. 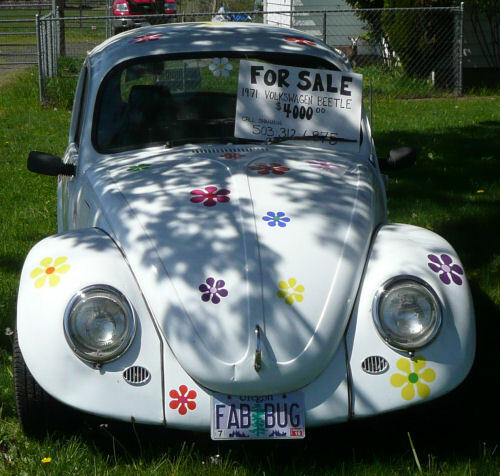 Hey, that VW owner stole the don’t-slip-on-the-porcelain stickers from inside my grandmother’s bathtub! oh, and like all nick cage films, its set in las vegas and his glue on hair gets melted off in the end!